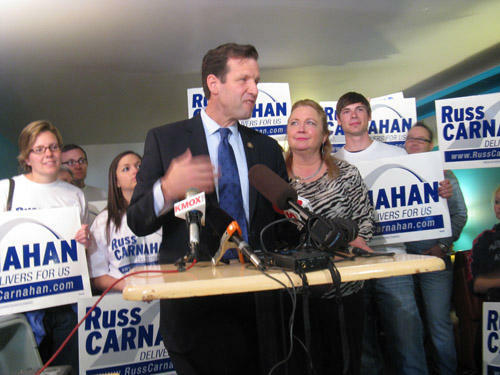 Former U.S. Rep. Russ Carnahan, a member of arguably Missouri’s most prominent Democratic family, has ended months of speculation by filing paperwork to run for lieutenant governor. On Friday, Carnahan set up a campaign committee with the Missouri Ethics Committee. Former Missouri Secretary of State Robin Carnahan, a Democrat who lost a 2010 bid for the U.S. Senate, will be headed to Washington -- at least part of the time -- after all. She has joined Washington-based Albright Stonebridge Group (ASG), a major commercial diplomacy and strategic advisory firm, as a senior director. One of the chairs of the firm is former U.S. Secretary of State Madeleine K. Albright. Candid With The Carnahans: End Of A Political Dynasty? For the first time in a long time, no member of the Carnahan family is holding public office in Missouri. Secretary of State Robin Carnahan left office earlier this week after deciding not to seek re-election last November. 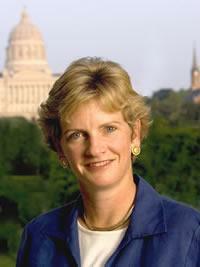 Her brother, Congressman Russ Carnahan (MO – 3), served four terms in the U.S. House of Representatives. After re-districting, he challenged Congressman Lacy Clay in the Democratic primary and was unsuccessful. How Much Will Emerson's Special Election Cost? Electing a replacement for retiring Missouri U.S. Rep. Jo Ann Emerson won't come cheap. 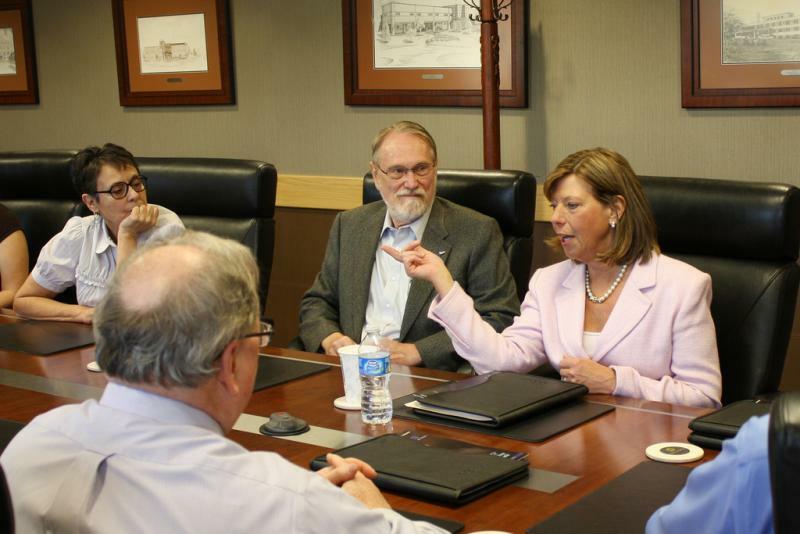 Weeks after winning re-election to a 10th term, the Cape Girardeau Republican announced earlier this month she is retiring from Congress in February to become president and CEO of the National Rural Electric Cooperative Association. There has been a lot of talk this year about changing I.D. requirements for voters, but Secretary of State Robin Carnahan (D) wants residents to know that the law hasn’t changed in Missouri. Carnahan says voters can bring a driver’s license or other photo I.D. 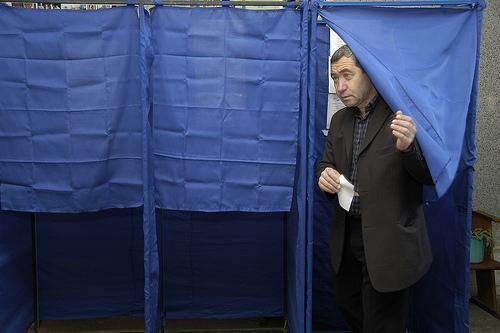 to the polls if they so choose, but that photo identification is not mandatory. Updated at 5:33 p.m. to include quotes from one of the Republican sponsors of Amendment Three and from the Sec. of State's Communications Director. 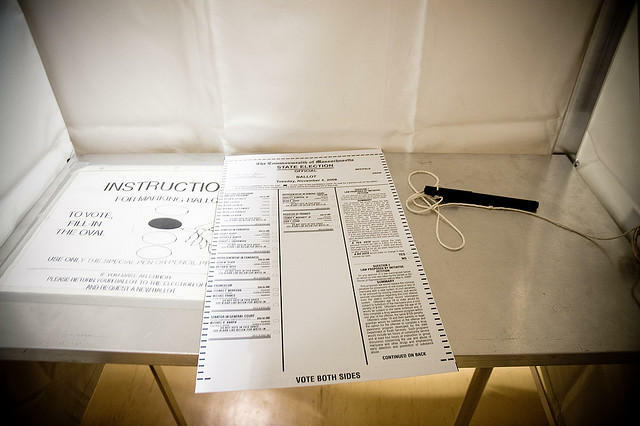 Citing what they call "deliberately deceptive and hopelessly biased ballot language," supporters of a measure that would change the way some appellate judges are selected in Missouri say they will not campaign for their ballot measure. 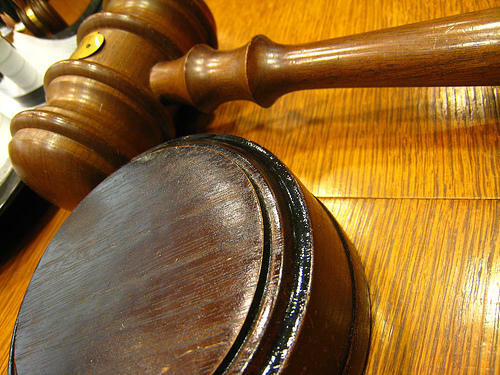 A Cole County judge has upheld a ballot summary prepared by Missouri Secretary of State Robin Carnahan (D) for a proposed constitutional amendment that would expand the governor’s role in appointing State Supreme Court judges. 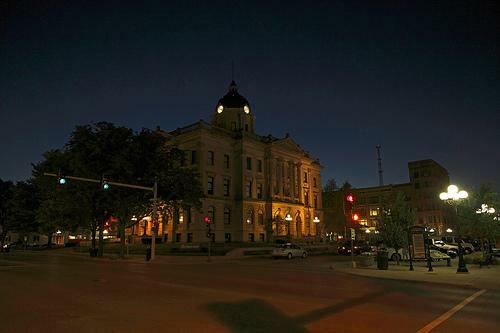 There will be no challenge to the new language inserted onto a ballot initiative by a Cole County judge regarding health insurance exchanges. The version initially approved by Secretary of State Robin Carnahan (D) had asked if state law should, “deny individuals, families and small businesses the ability to access affordable health care,” unless the people or the legislature created an exchange. In a statement, Carnahan says Attorney General Chris Koster (D) refused to file an appeal on her office’s behalf. Lt. Governor Peter Kinder (R) filed suit against Carnahan over that language. He applauded the Democratic Attorney General’s move. Updated 4:15 p.m. Thursday: Carnahan will not appeal Judge Green's new language, saying Attorney General Chris Koster refused a request for further legal action, and the Secretary of State's office is not in a position to appeal on its own. A full version of today's developments can be found here. The language used in a ballot initiative approved by Missouri Secretary of State Robin Carnahan (D) has been tossed out by a Cole County judge. 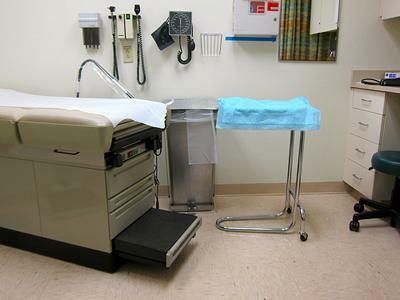 Proposition E centers on the conditions for creating a health care exchange in Missouri; the language authorized by Carnahan read in part whether the law should “deny individuals, families and small businesses the ability to access affordable health care.” Lt. Governor Peter Kinder (R) called the language used by the Secretary of State unbelievably biased. A Cole County judge heard arguments today in a lawsuit that claims Missouri Secretary of State Robin Carnahan (D) deliberately used misleading language in a ballot initiative regarding the creation of a health insurance exchange. The language in question asks in part if the law should “deny individuals, families and small businesses the ability to access affordable health care.” Attorney Jay Kanzler represents Lt. Governor Peter Kinder (R) and a group of Republican legislative leaders who filed suit. A Cole County judge heard arguments Friday on whether to issue a temporary restraining order against Missouri Secretary of State Robin Carnahan (D). Carnahan and Republican leaders are sparring over the language used in a ballot initiative regarding health care exchanges. Lt. Governor Peter Kinder and GOP lawmakers accuse Carnahan of using misleading language in order to influence voters to defeat the ballot question in November. Attorney Jay Kanzler represents the plaintiffs. “Secretary of State Carnahan's language talking about denying families and individuals access to affordable health care frankly doesn’t even come close to describing, in fact, what the ballot initiative would do,” Kanzler said. Voter turnout in Missouri is expected to be around 25 percent for next Tuesday’s party primaries, according to the Secretary of State’s office. A turnout of 25 percent would be slightly higher than the 23 percent of Missouri voters who cast ballots in the 2010 primaries. Secretary of State Robin Carnahan (D) says voter turnout is notoriously hard to predict. Missouri Lt. 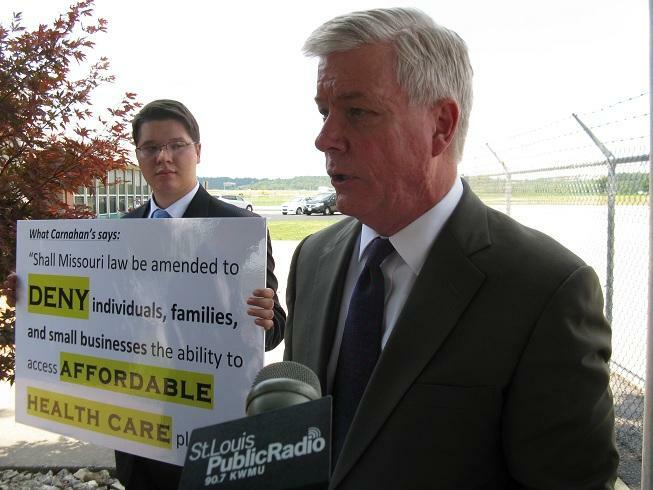 Governor Peter Kinder (R) and GOP legislative leaders have filed a lawsuit against Secretary of State Robin Carnahan (D) over the language used in a ballot initiative regarding health care exchanges. The language approved by Carnahan asks if the law should be amended to, “deny individuals, families, and small businesses the ability to access affordable health care plans through a state-based health benefit exchange unless authorized by statute, initiative or referendum.” Kinder says the language skews the ballot question’s true purpose, to bar the governor from creating an exchange by executive order. According to Mo. Sec. of State Robin Carnahan's office, Judge Daniel Green of the Cole County Circuit Court has denied the temporary restraining order. The decision means candidate filing for Missouri state Senate districts will begin Tuesday morning, as scheduled. There's another twist in the ongoing legal battle over the new districts for the Missouri State Senate. 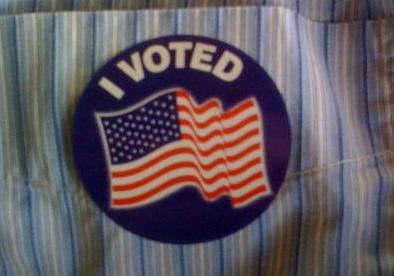 Primary voter turnout lowest ever in Mo. The "beauty contest" nature of Missouri's presidential primary earlier this week may have contributed to the lowest turnout for a presidential primary in the state's history. 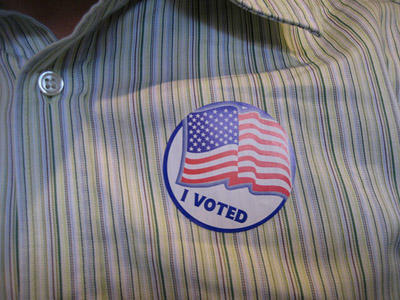 Just 8 percent of the state's registered voters cast ballots in the Republican and Democratic primaries. About 252,000 people voted in the GOP race, and 73,000 in the Democratic primary. While the Democratic vote awarded delegates, unlike the Republican contest, President Obama faced no serious opposition. 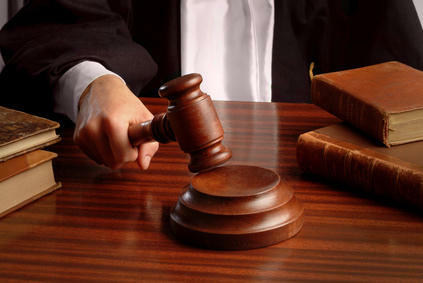 Illinois is a "plaintiff's paradise"
The American Tort Association ranks Madison, St. Clair and McClean Counties in Ill. among the most unfair court jurisdictions in the nation. Cook County is on the watch list. The Association is made up of businesses concerned that judges and juries in those counties are more likely to side with plaintiffs. 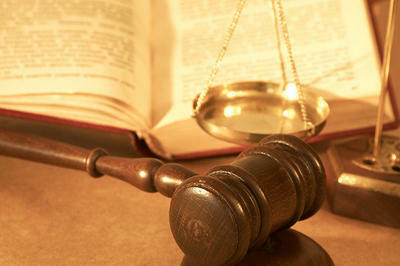 Class action lawsuits often result in huge payouts. Travis Akin is with the Illinois Lawsuit Abuse Watch and says being on the list is a harmful distinction. This article first appeared in the St. Louis Beacon, Oct. 15, 2011 - Missouri Secretary of State Robin Carnahan collected only $3 in cash donations between July 1 and Sept. 30, underscoring that she likely had made up her mind not to seek re-election some time before her Sept. 30 announcement. Secretary of State Robin Carnahan (D) is criticizing legislation in the Missouri Senate that would scrap the state’s presidential primary in favor of party caucuses. This article first appeared in the St. Louis Beacon, Sept. 30, 2011 - Missouri Secretary of State Robin Carnahan chose the last day of this quarter's campaign-finance period to announce that she's not running for re-election in 2012 -- reversing her declaration earlier this year that she was definitely running for a third term. In an email to supporters sent Friday afternoon, Carnahan wrote that "the time will be right for me to return to private life, to gather new ideas and experiences and a fresh perspective."